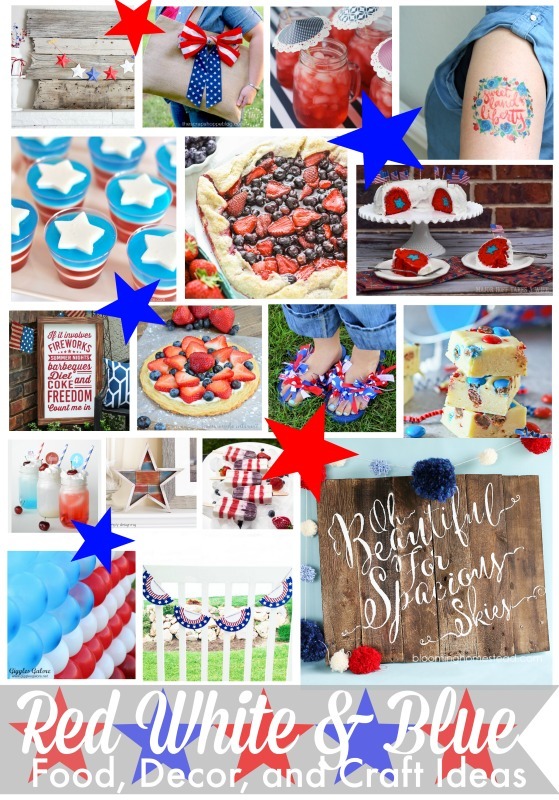 Welcome to the Red, White, and Blue Blog Hop, featuring recipes, crafts, party ideas, and more from 90+ Creative Bloggers! 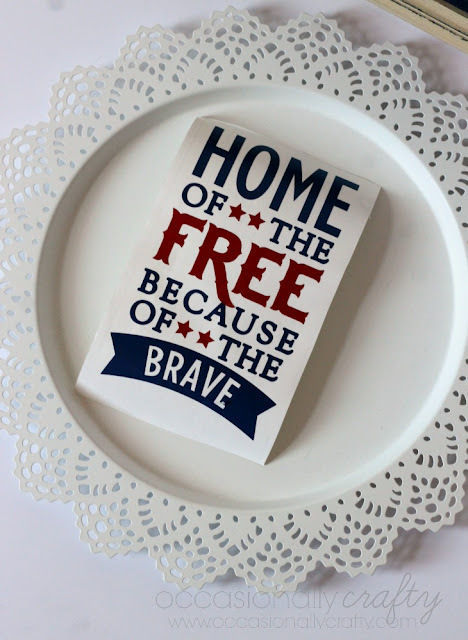 You're going to love what we've put together for you! Today I'm sharing how I dressed up this IKEA candle plate for the 4th of July by turning it into a Patriotic Vinyl Charger! 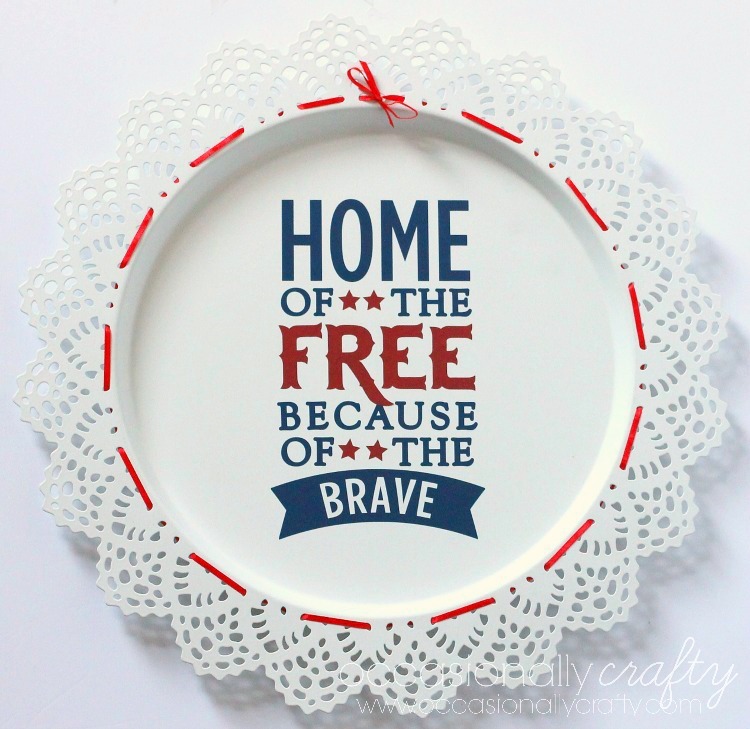 This is so easy to do because the design is a shape in the Silhouette store! Simply download the shape, open it into Silhouette Studio, and resize as needed to fit. This charger is 9 inches in diameter, so I made the shape about 1/2 inch shorter to fit well. This does require you to layer your vinyl, or to apply it one color at a time. I chose to layer my vinyl using the method I learned here. Then, simply apply your vinyl to your charger using transfer tape. 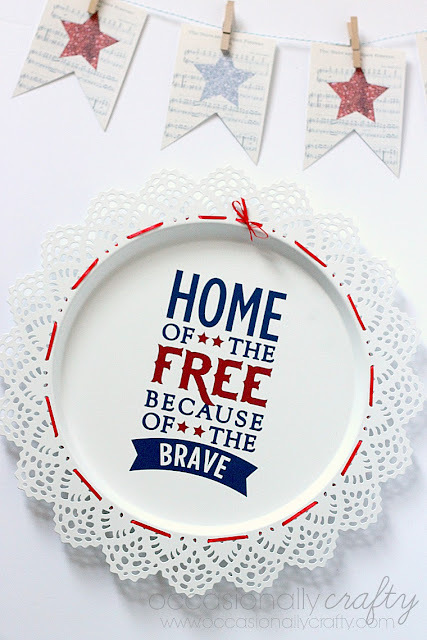 Pair it with some other patriotic decor, like my Stars and Stripes Sheet Music Banner, and you have the perfect decor for the 4th of July! 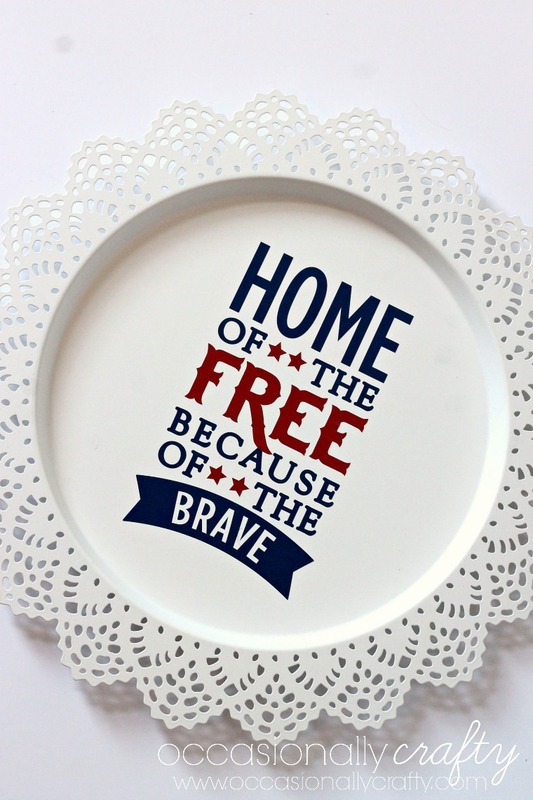 And, go check out the Red, White, and Blue Pinterest Board for all things patriotic!